Days are busy. Sometimes because of work and other times doing nothing! Day before yesterday was one of the busiest days for me, which is supposed to be a national holiday! I remember cribbing about it at school when we were made to be present at 7 am in school for flag hoisting and then visit the nearby police station for the same. This was the schedule twice a year each year on a "National Holiday"! When I started working, I seldom took an off on these holidays except when they fell on weekends. I have always been a workaholic. Free days disturb me a bit :P The major reason I have taken up teaching on Sundays. Now, I wanted to blog about something totally different, but once the blabbering starts, it's difficult to stop as this is the place where you can crib non-stop and still people will read you (or, that's what I think). This post is about couple of very interesting incidents that happened in this week. She: Hi. I have a news to share. I bought a new house. Me: hmmm.. well, you just need to plan it right, and it will be fine. She: Arre nahi yaar, I can no longer buy footwear regularly! Yes, that was her concern - buying footwear :P Now, she happens to be a reader of my blog and she is going to kill me after this post. Not that I have not warned her, but still, some things have an interesting ummm after-effects. Now, I think I should stop writing about the footwear fever before I lose a loyal reader. 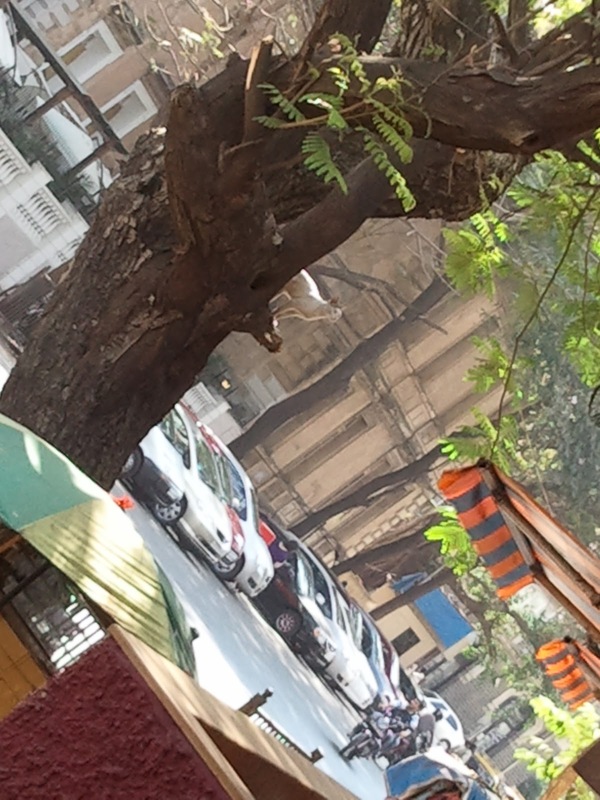 Have you ever seen a cat climbing a tree to catch birds to eat? I saw one recently. Sharing the picture with you, but it was a scene worth viewing personally! The cat jumped right after this image was clicked and we could not get the jump captured! While uploading this image, I found another one too. This one is of lolcat. 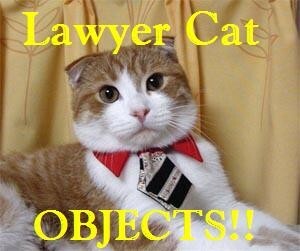 No, I will never be able to relate to it except the part that it plays a lawyer. Otherwise I hate pets! My lips are tightly sealed lest I mention something..
All I want to do now is yell "Nehaaaaaaaaaaaaaaaa........"
I empathize with your friend over the footwear shopping thing. I too have a fetish for shoes and bags! And that's a shot well captured! That is material for litigation ! arre even i have footwear fever. !!! Hmm, I have a better fetish and it costs me nothing...my fetish is men!! Ha ha ha!! Just kidding...but they are easier to replace ...lol. hey Neha, You should have mentioned that the cat is not in picture... I spent so much time trying to locate the cat before reading that it is not even there!! Hey visiting your blog for the first time..I wonder how can people be workaholic.. Jobs drain out most of the energy and we wait anxiously for the weekends..Good to hear that you teach on Sundays.. I wish I am as energetic and enthusistic as u..
Anyways, nice post..Even I have a fetish for footwears..
LOL, your friend's fetish for footwear reminds me of Veena Malik of BIGG BOSS fame..her huge collection of footwear used to be as much a point of highlight, in the show, as her coochi-cooing with "Hashmit' was :D.
What is it with women and shoes! I know someone who has got 19 pairs of different kinds!! Finally I find someone who shares my dislike for pets!!! okay fine...third post in a row..not my pistake ..you write ...and I am feeling like reading..